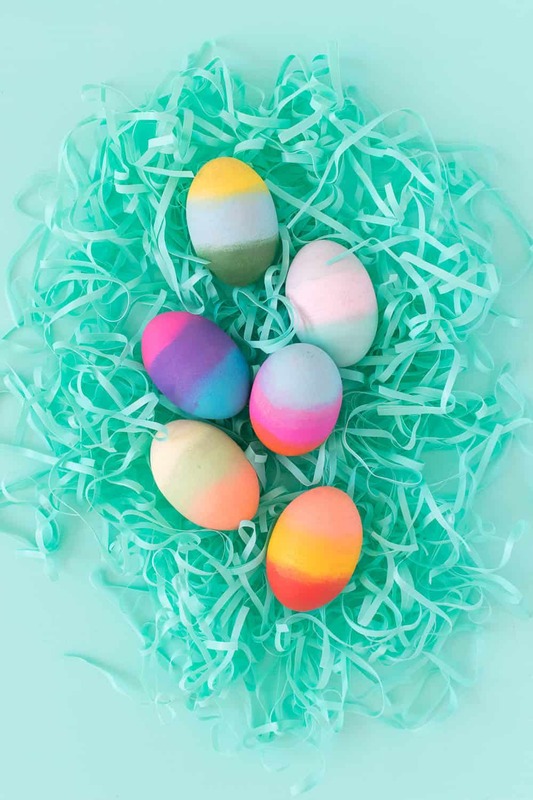 You’ll love these easy Easter egg designs – they look fabulous but even the kids will be able to make them! 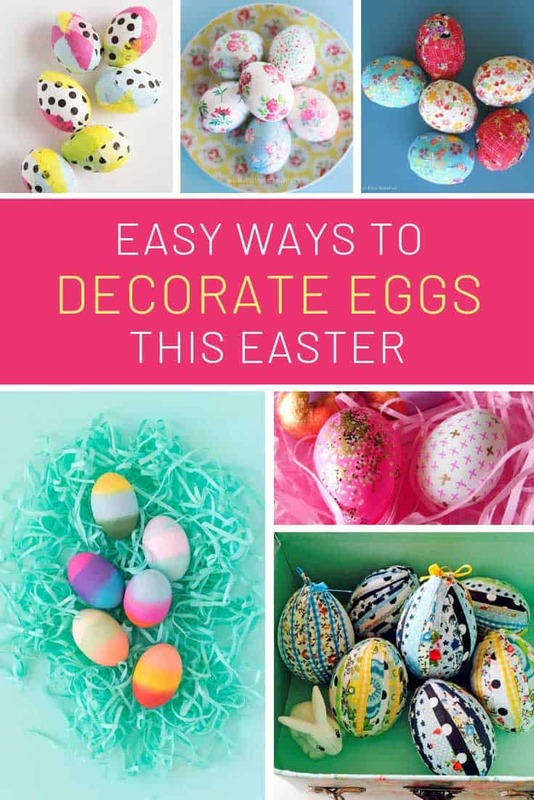 Perfect ideas for an egg decorating party! I can’t believe that my kids are 6 this year and we’ve never decorated eggs! 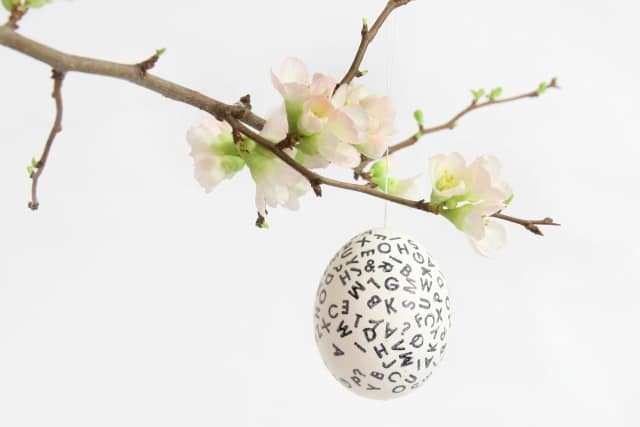 This year that’s going to change so I’ve been searching for easy Easter egg designs. 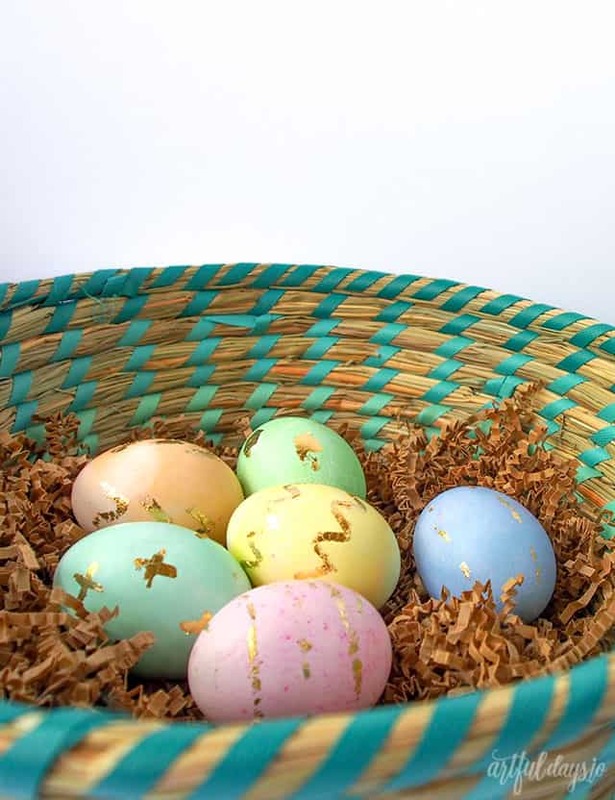 I want something that we can use as part of our Easter decor but that’s simple enough for the kids to get involved with. And I found a ton of great ideas so as usual I’m sharing them with you too! 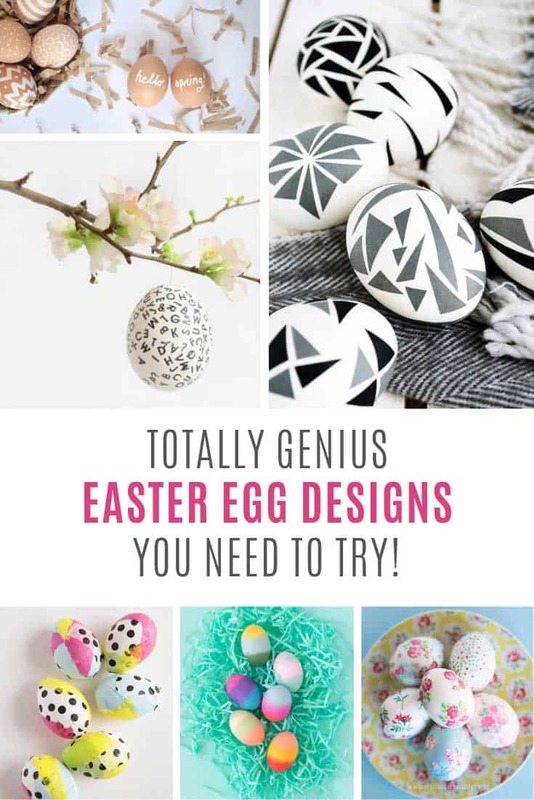 You can do most of these designs on regular blown eggs, but if you want to be able to put them out on display again next year use wooden ones! 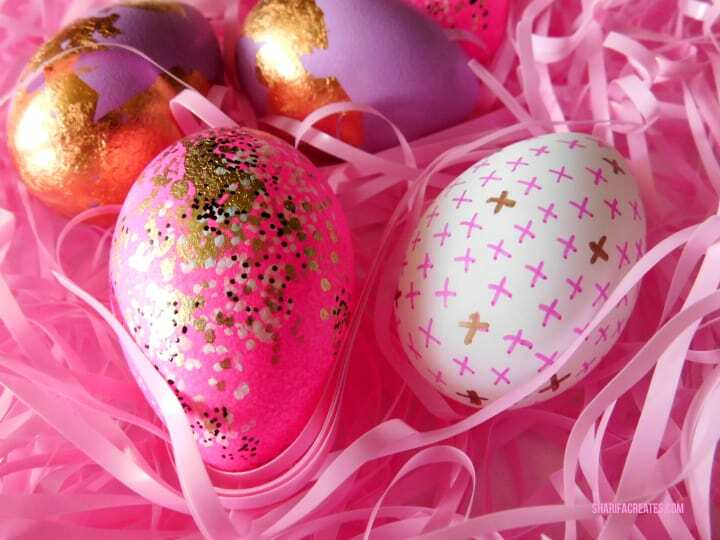 This egg decorating idea is super easy but looks oh so fabulous! This is one that you can do with the kids, even toddlers! 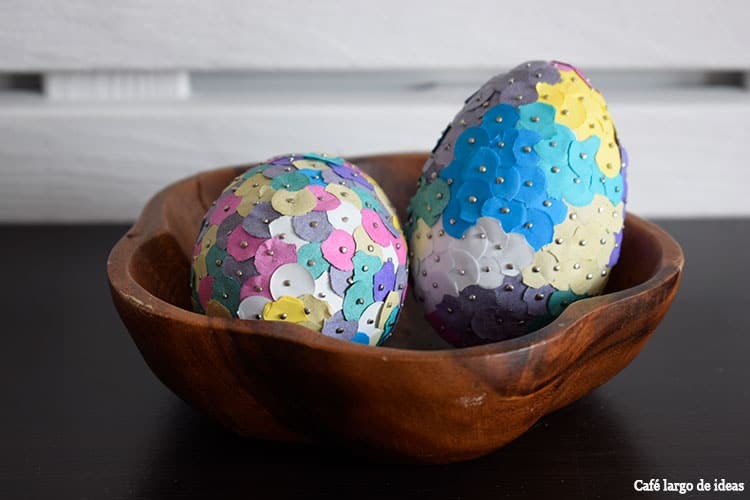 I love the look of these eggs with all the confetti dots but it sure does take a lot of patience! Good fine motor practice for kids though! Ooooh how pretty are these?? I love the ombre gradient effect! This is another decorating craft the kids can get involved with. 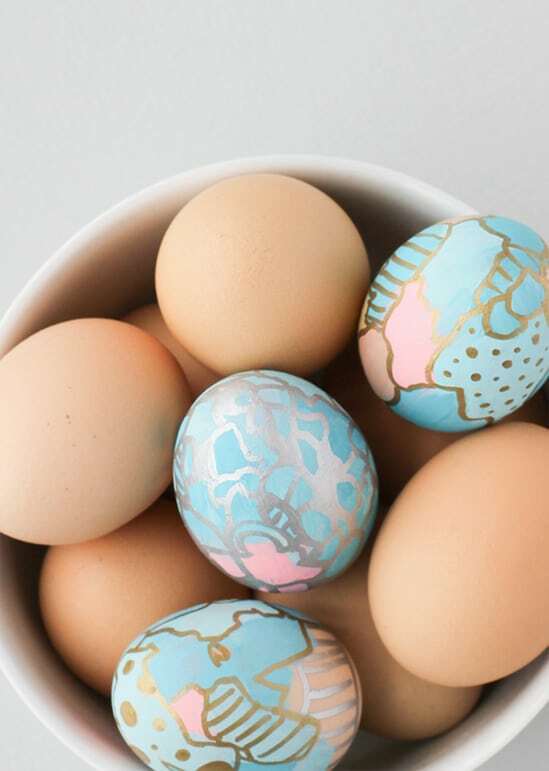 Well I never thought of using a stamp on eggs to decorate them before! I love the letters on this one but you could use any mini ink stamp I guess! I can’t decide which of these I like the best, the gold foil or the splattered paint. These are perfect if you want to add a bit of glitz and glam to your eggs this year! Oh and here’s another one that uses gold leaf, with a really cool pen that I’ve never seen before and have now added to my wish list! I spent a week last year painstakingly painting triangles all one one of my kitchen walls so I always love a bit of geometric pattern in my life! These eggs are FABULOUS and I can’t wait to make my own set! 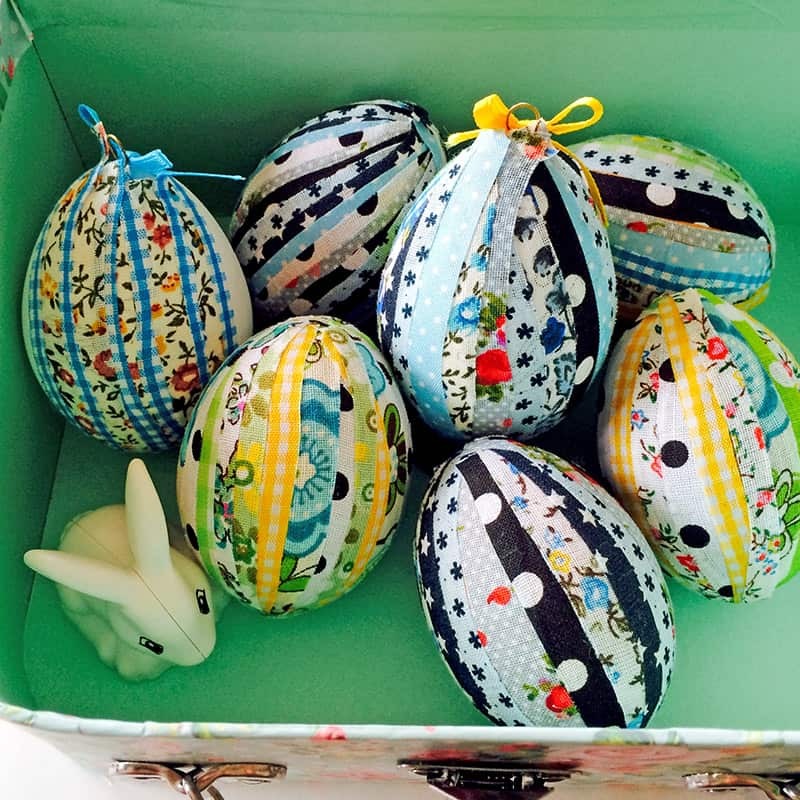 If you want a retro feel to your decorated Easter eggs this year try this patchwork DIY. How cool do they look with all the different patterns and colors? This is a brilliant fabric scrap buster project that’s for sure! I love these doodle eggs. There’s something quite compelling about the simple white doodles against the natural eggshell. Cough. Hands up if you have a bit of a Washi tape addiction? 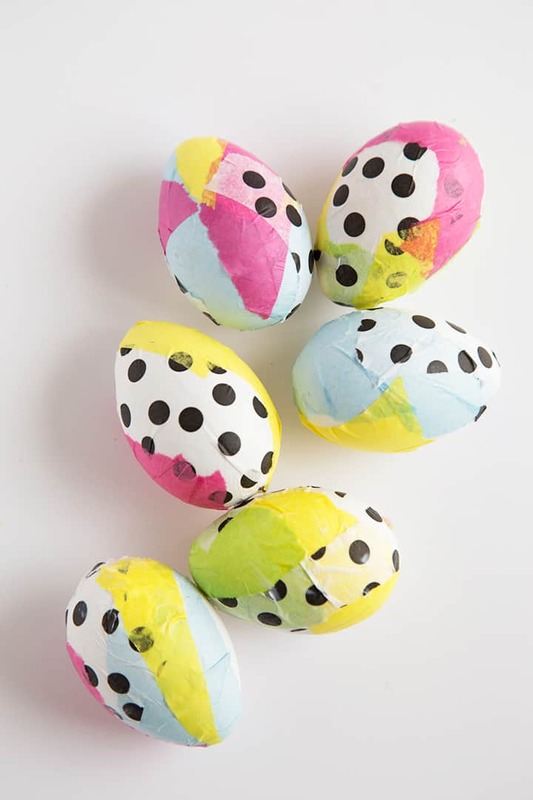 If you can’t resist popping a reel in your basket every time you hit the craft store this is the egg decorating DIY for you! 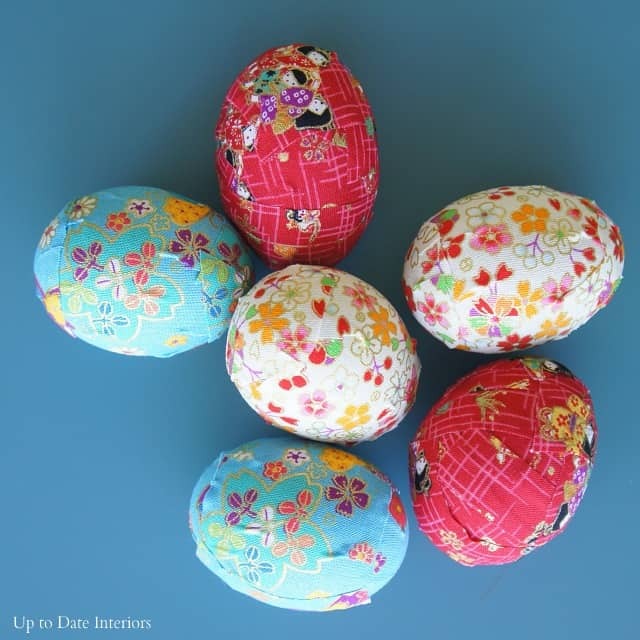 Or if decoupage paper is your craft obsession then you definitely need to try making some decoupage eggs. They look so pretty! 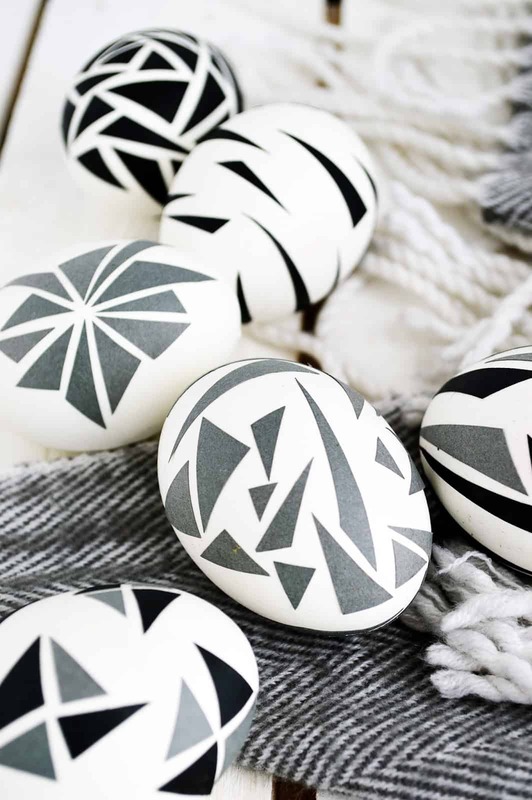 Ooh I love the gold and silver on these graffiti style decorated eggs. Very glam! These are super easy to make too. 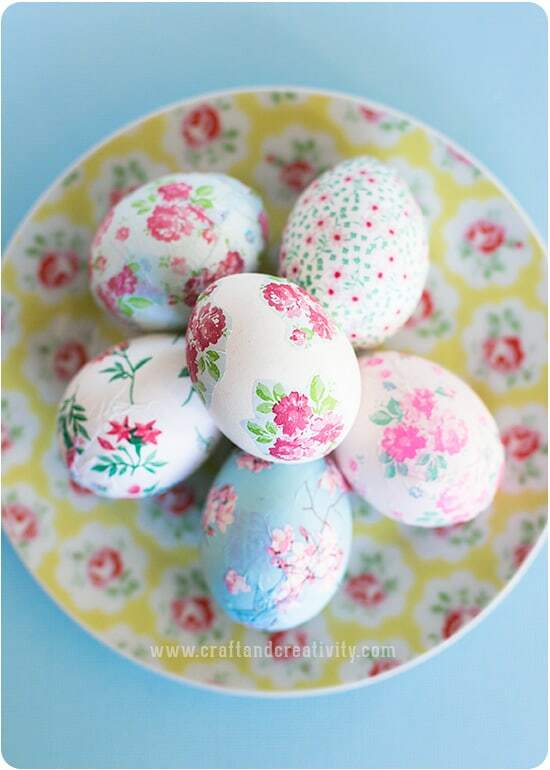 I’ve never seen decorated eggs like this before and I think they are beautiful. 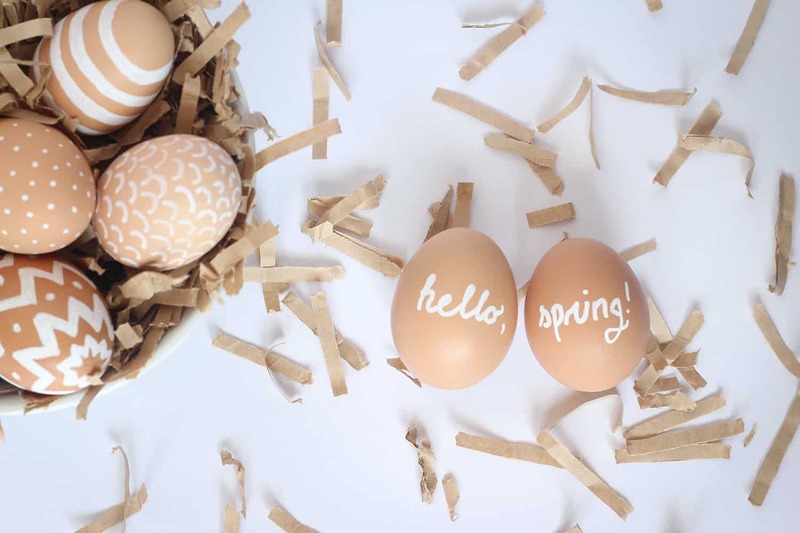 What a wonderful way to bring nature into your egg decorating! 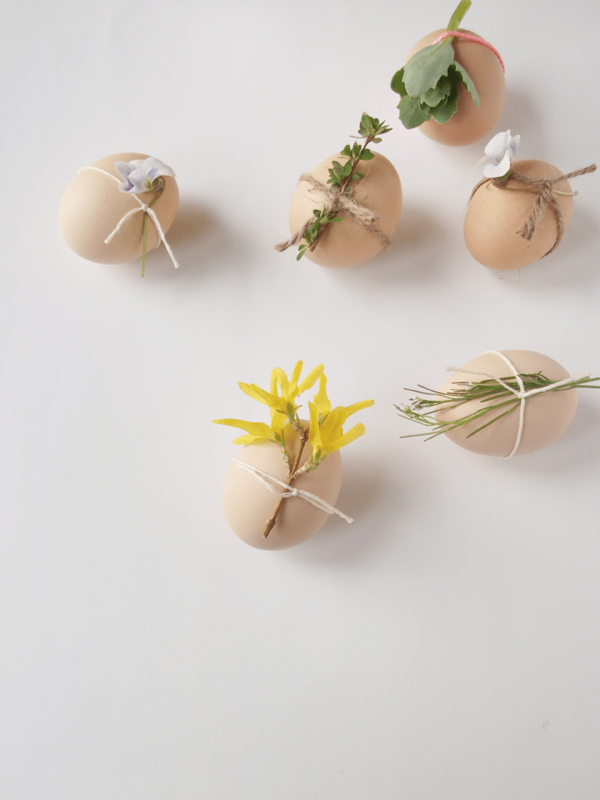 Such a simple alternative to dying eggs, and the perfect last minute DIY too! Previous PostPrevious 500+ Creative DIY Projects to Help You Get Your Craft On!